You could almost file this one under conspiracy with the launch of Apple Music and the government now cracking down on piracy, however… Anyone who uses iTunes to rip a CD is technically breaking the law following recent changes to UK copyright legislation. 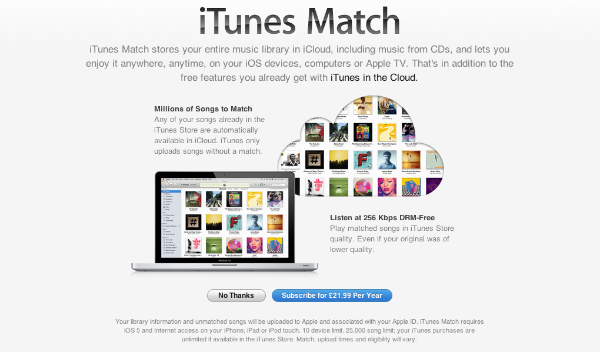 This one caught us a little off guard but it seems that iTunes match is now up and running in the uk. For those that haven’t signed up we present our gallery of what happens if you do sign up.